The Children of Hurin is so far a major succes. The book is selling very well and has been seen many positive reviews. Some time ago I announced that the Children of Hurin Audio Book would be narrated by Mr. Christopher Lee. Today I will bring some major updates on the Children of Hurin Audio Book. First of all, there has been added one narrator, namely Christopher Tolkien! 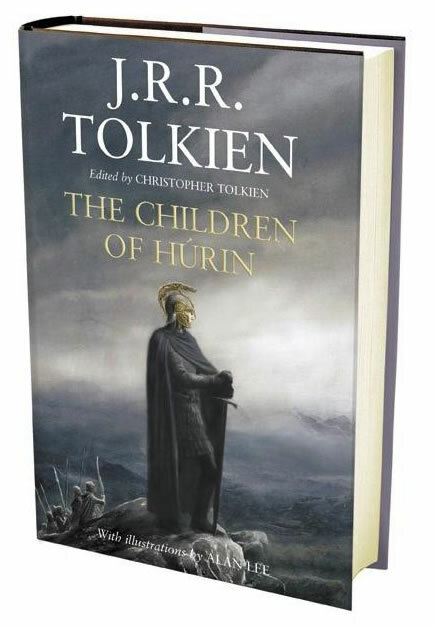 The Children of Hurin will be read by both Christopher Tolkien (Editor, Narrator) and Christopher Lee (Narrator). Secondly, there will not only be made 8 Audio CD's, but the Audio Book will also be available as a download in both a Windows Media edition and an Audible edition. So far I have no news on where the downloads will be available, but they will be released at 3 September 2007 and will have ISBN 978-0-00-726963-1 (Windows Media Edition) and 978-0-00-726964-8 (Audible Edition). As for now the price is set at £20.99 (GBP). The news that Christopher Tolkien will also read some parts of The Children of Hurin is very thrilling. To me it is always nice to hear the author, in this case the editor, of a book read it himself on the audio version. It gives the listener some closer look on how the writer feels his story sounds like. We all know Christopher Tolkien is a fantastic narrator and I have very much enjoyed his version of Beren and Luthien, from The Silmarillion, on The Tolkien Audio Collection. His Oxbridge accent is perfect for these tales and he can touch his audience with his warm voice. And most important, he knows his father's work better than any person alive. Mr. Christopher Lee had already finished his work on the Children of Hurin Audio Book in Juli 2007. In total he spent 5 days narrating the audio book for Harper Collins. I look forward to hearing Mr Lee bringing Tolkien's words to life through his voice, the most remarkable aspect of this famous actor. I am sure it will be brilliant, and Mr Lee must have enjoyed recording the audio book of Tolkien's work immensely. A few years ago someone asked Mr. Christopher Lee if he would like to record The Lord of the Rings. He replied that he would love to do it, but that nobody had asked him so far. It seems this time they did and I am really delighted that Mr. Christopher Lee has recorded The Children of Hurin. It seems that Harper Collins must be congratulated for their excellent choice in narrators.